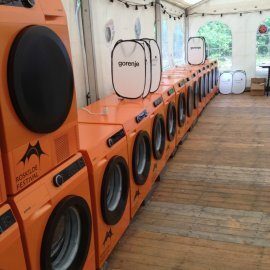 This summer Gorenje and the Roskilde Festival teamed up again to raise funds to support The Roskilde Festival Charity Society, with Gorenje donating three custom-made Gorenje retro refrigerators emblazoned with the Roskilde Festival logo. 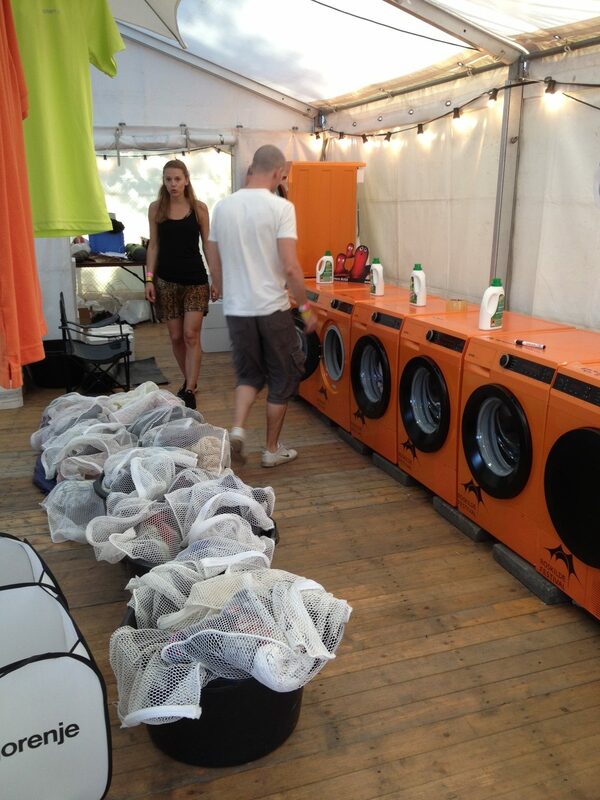 And for the third year in a row, Gorenje provided free laundry service at the festival. 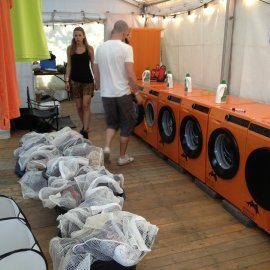 Gorenje wasn’t only to be found backstage at the “Orange Scene” – this year, Gorenje contributed to green thinking by donating five environmentally friendly A++ refrigerators to the “Odeon Scene”. The Odeon Scene is much more than rock music, with top artists performing in a sustainable environment: the stage is equipped with environmentally friendly lights, and the area around the stage focuses on sustainability and ecology. 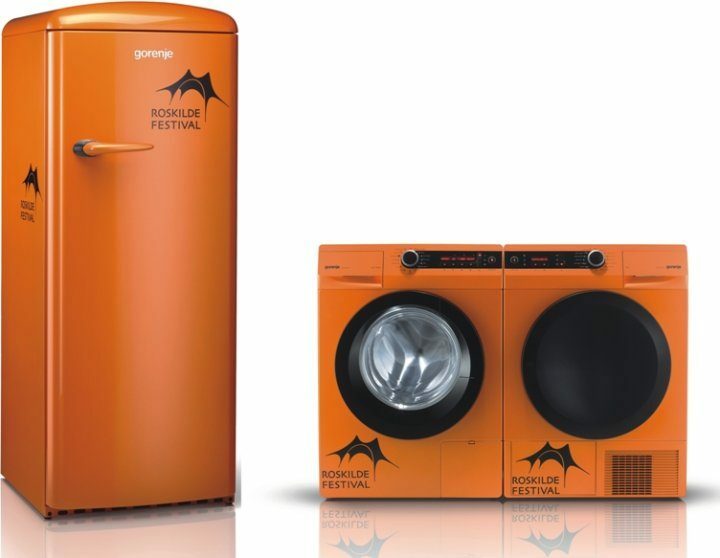 Gorenje and the Roskilde Festival teamed up for the fourth time to raise funds to support The Roskilde Festival Charity Society, with Gorenje donating three custom-made Gorenje retro refrigerators emblazoned with the Roskilde Festival logo. 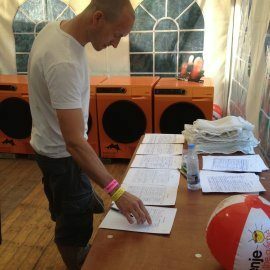 The fridges were placed back stage as part of the celebrated “Orange Scene”, where artists performing at the scene were encouraged to sign the fridges, which were later sold at a charity auction. 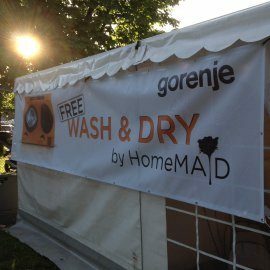 And for the third year in a row, Gorenje provided free laundry service at the festival, in which Gorenje appliances ran at full capacity to wash and dry volunteers’ dirty clothes. 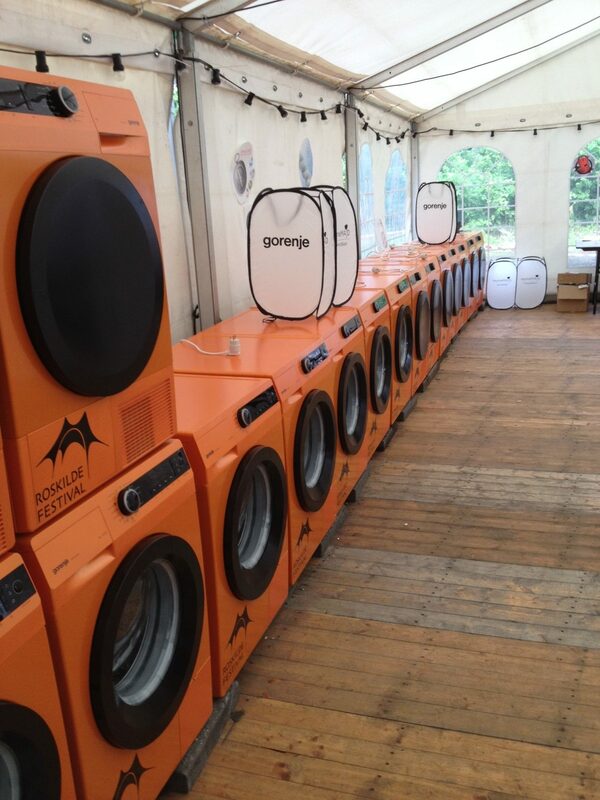 This year clothes got the full treatment in the new Gorenje HomeMAID washing machines and dryers – in customized Roskilde-orange, in keeping with the original orange Roskilde Festival logo, and at the well known Orange Scene. 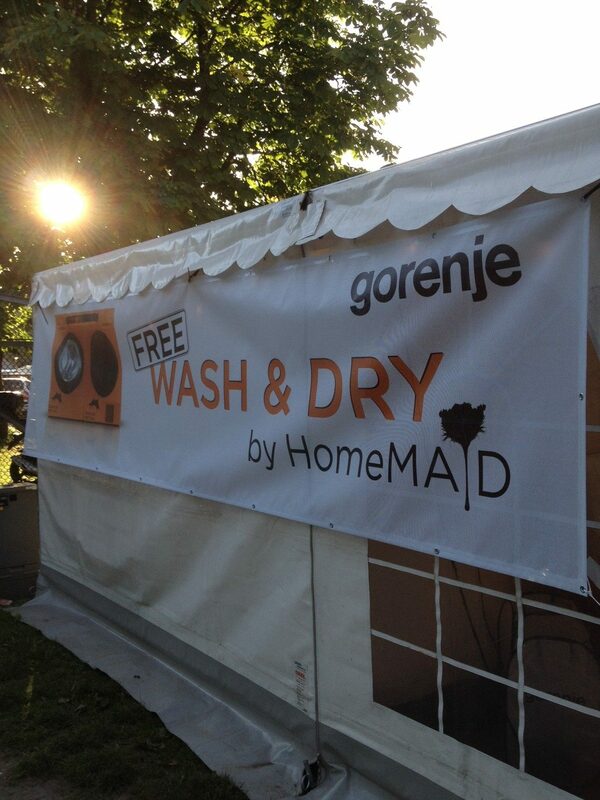 For the third year in a row, Gorenje provided free laundry service at the festival, in which Gorenje appliances ran at full capacity to wash and dry volunteers’ dirty clothes. The Roskilde Festival is the largest North European culture and music festival, and takes place in Roskilde, Denmark the first week in July. Top artists like Björk, The Cure, Mew and Bruce Springsteen all performed at the festival during 5th and 8th July 2013. 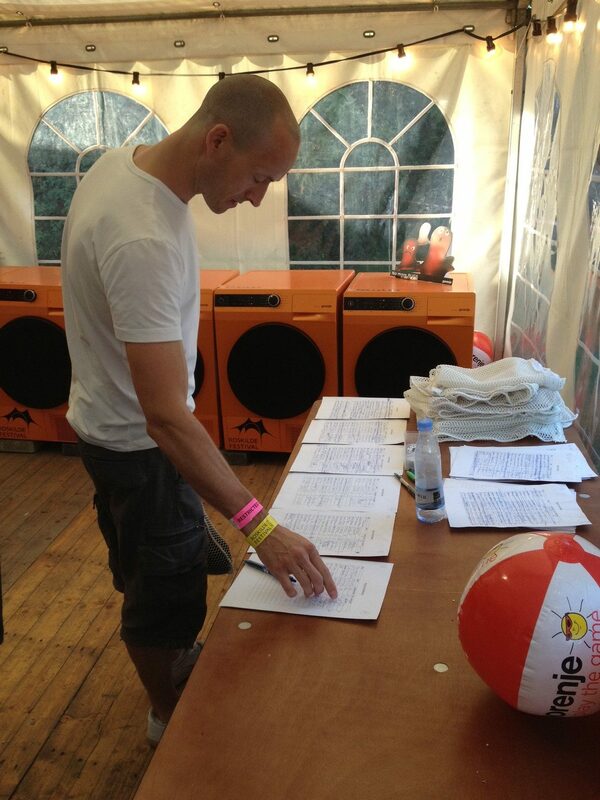 The festival operates largely on efforts from unpaid volunteers, with more than 32,000 signing up annually.